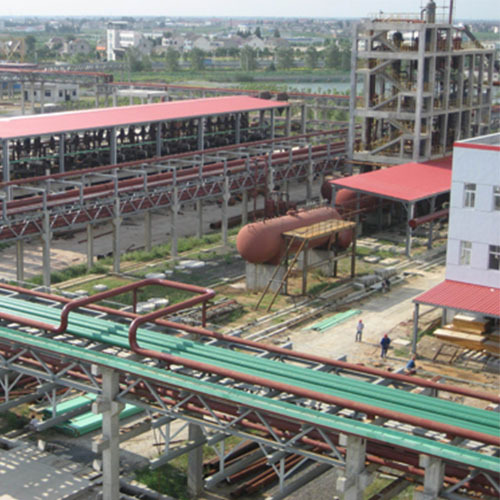 Enterprises of the petrochemical industry produce synthetic rubber, products of basic organic synthesis (ethylene, propylene, polyethylene, surface-active agents, detergents, and some types of mineral fertilizers), carbon black, rubber products (automobile tires and rubber industrial and consumer goods), and industrial asbestos goods. D. I. Mendeleev was one of the first to recognize petroleum as a highly important source of chemical raw material. Seminal work in petrochemistry was conducted in the late 19th and early 20th centuries by V. V. Markovnikov, L. G. Gurvich, N. D. Zelinskii, A. A. Letnii, and S. S. Nametkin, as well as by the foreign scientists M. Berthelot (France), E. Houdry (USA), and M. Pier (Germany). However, until World War I (1914-18), the industrial production of organic products was based only on the conversion of coking coal and raw foodstuffs. 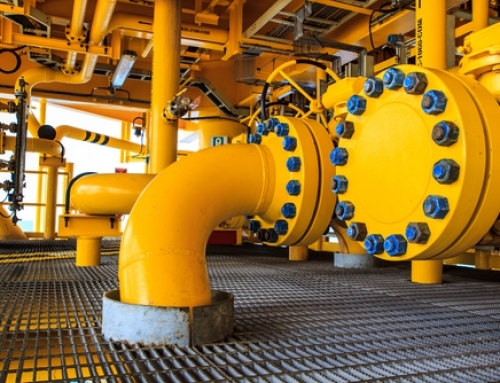 The use of petroleum hydrocarbons considerably expanded the raw-material base of the industry and made possible the use of more economical production processes. 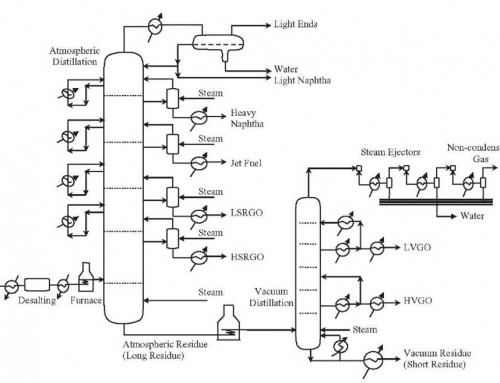 The conditions for the emergence of the petrochemical industry were created as a result of the introduction of new petroleum-refining methods—cracking and pyrolysis. The production of isopropyl alcohol from cracked gases was initiated in the USA in 1918; production of aliphatic chemical products (1920) and vinyl chloride followed. In the USSR, the petrochemical industry was established during the first five-year plans (1929-40). During this period industrial production of synthetic rubber was set up at a number of plants (in Yaroslavl, Voronezh, and Efremov). A tire plant at the Yaroslavl Rubber and Asbestos Combine began production in 1932. The increase of capacity and the modernization of the industry made possible an increase in tire-casing production by a factor of 35 in 1940 relative to 1927-28. The production of industrial rubber products had increased fivefold by the end of the first five-year plan (1932) and accounted for 35 percent of the total volume of the rubber industry. The production of carbon black increased as follows: 300 tons in 1916, about 2,000 tons in 1930, and about 60,000 tons in 1940. After the Great Patriotic War (1941-45), many petrochemical plants were restored and modernized. The world’s first combined production of phenol and acetone by a highly advanced method (the cumene method), which had been developed by Soviet scientists, was initiated in 1949. Economically promising regions of the country were identified, and the construction of petroleum-refining and petrochemical plants proceeded. 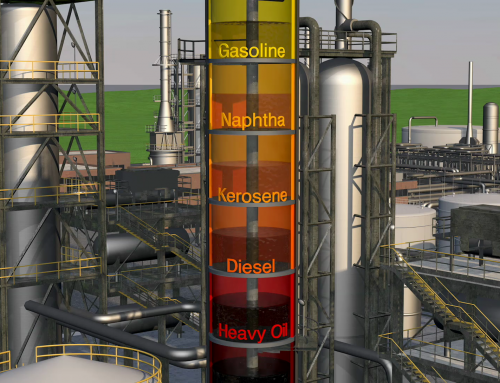 The development of the petrochemical industry is directly related to the advancement and increasing scale of petroleum-refining processes. The petrochemical industry of the USSR is characterized by a rapid rate of growth (Table 1). In 1970, as compared to 1965, the production of plastics and nitrogen fertilizers had doubled; the production of synthetic detergents had increased by a factor of 1.7; the production of synthetic fatty acids, by a factor of 1.6; and the production of synthetic rubber, by a factor of more than 1.5. The increase in the production of synthetic rubber was achieved mainly as a result of the construction of large-scale installations for the production of new stereoregular rubbers. From 1966 to 1970, the world’s first large-scale production of high-quality pneumatic tires without the use of natural rubber was set up in the USSR. Plants were established for the production of radial tires. In 1973, production of automobile tires had increased by a factor of 1.6 as compared to 1965 and had reached 42.3 million items. In 1972 the total volume of production of the rubber and asbestos industry had increased by 272 percent as compared to 1960. The production of rubber footwear and other consumer goods increased significantly. Operations began at the New Ufa, Omsk, New Kuibyshev, New Yaroslavl, New Gorky, Kirish, and Riazan plants and combines and at the Polotsk Petroleum Refinery in the Byelorussian SSR and at large plants for the production of synthetic rubber, automobile tires, and industrial rubber articles in the central and eastern regions of the USSR. Centers for integrated petroleum refining and petrochemical production were established in Azerbaijan, the Bashkir ASSR, the Tatar and Chechen-Ingush ASSR’s, and the Ukraine, Byelorussia, the Soviet Far East, Turkmenia, Kazakhstan, and Uzbekistan. 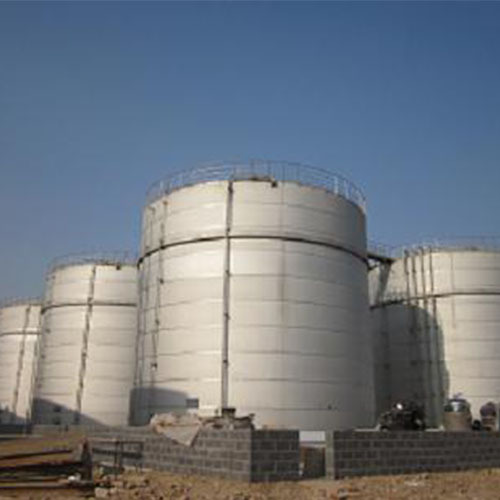 A number of plants and installations for the production of high-quality polyethylene, polypropylene, polyisobutylene, and other polymers from hydrocarbon raw materials was constructed. In 1972, production of ethylene copolymers and polyethylene had increased by a factor of 5.4 as compared to 1965 and had reached 307,000 tons. 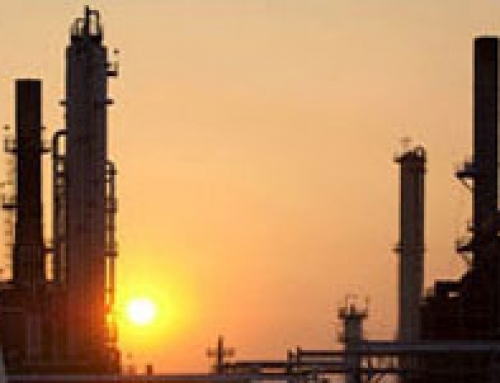 The development of the petrochemical industry is characterized by rapidity and by a continuous increase in production efficiency. High-output equipment and narrowly specialized large-scale production methods are being introduced. Catalytic systems are being improved, and automated production lines for elastomers and elastomer articles are being developed. Automated control systems are being introduced. 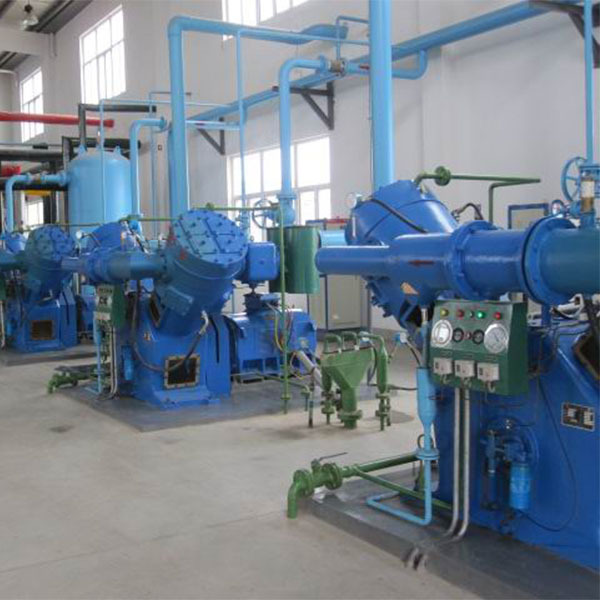 Equipment for the production of isoprene with doubled or tripled unit capacity is widely used in manufacturing synthetic rubber. Such equipment makes possible a 20 percent reduction in the unit capital investment, a 5 percent reduction in the prime cost of isoprene, and a twofold increase in labor efficiency. tries in world production of chemical products has increased significantly. The fraternal assistance of the Soviet Union in supplying the member countries of COMECON with petroleum and natural gas, as well as in equipping major installations, the most important of which is the Druzhba (Friendship) Pipeline, has played an extremely large role in the increased production. The growth of production of such important petrochemical products as polyethylene and ethylene copolymers, as well as automobile tires, is shown in Tables 2 and 3. Broad development is evident in the production of petrochemical products in capitalist countries, particularly the developed countries (see Table 4). Developing countries such as India, Iraq, and Algeria are assigning great significance to the establishment of their own petrochemical industries in fulfilling their plans for industrialization, raising the standard of living of the population, and strengthening national independence. The USSR is expanding its cooperation with these countries and is providing technical assistance in the development of their petrochemical industries. In case you loved this informative article and you want to receive more details about history assure visit our website.